You all know I'm a big fan of items that can help GMs along in their mission of making a good game for their players. Pre-made adventures, maps, and other materials can really cut down the prep-time needed to run a game. Well, J. over at PenguinComics is making it so your sci-fi games are ready to go at a moment's notice. 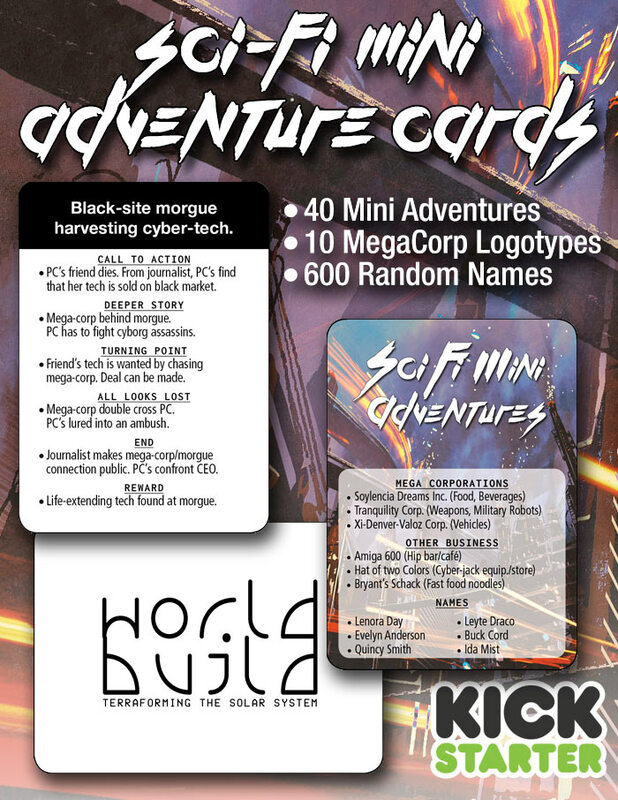 They've launched a Kickstarter campaign for a set of Sci-Fi Mini-adventure cards, as well as aids for coming up with sci-fi corporation names, NPC names, and more. 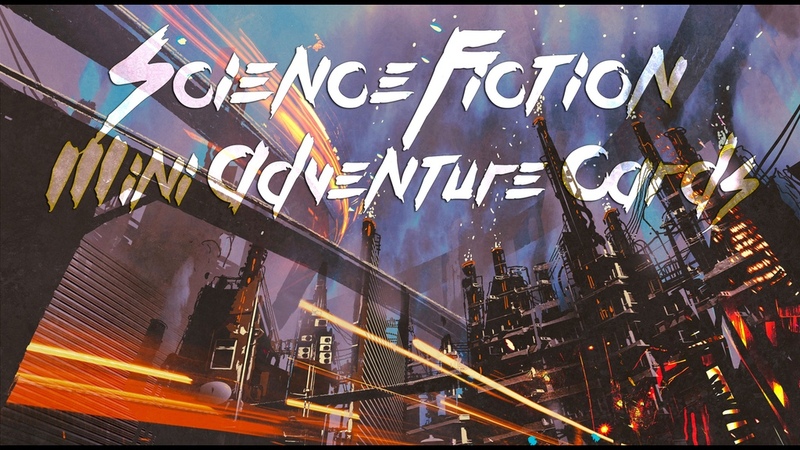 Kickstarter Campaign for our Sci-fi/Cyberpunk Mini Adventure Cards. Great GM resource for any sci-fi/cyberpunk/tech-noir setting. The mini adventures are easily expanded upon or edited. Use them as they are and improvise - or edit them into campaigns, using the adventure texts as seeds. The 10 MegaCorp Logotypes add flavor to any setting, and the 600 names are easily used random in any sci-fi-themed roleplaying game. Small $500 goal (though campaign is in Swedish kronor, due to Kickstarter rules). The Kickstarter campaign is up and running now. It's set to go for another 29 days.